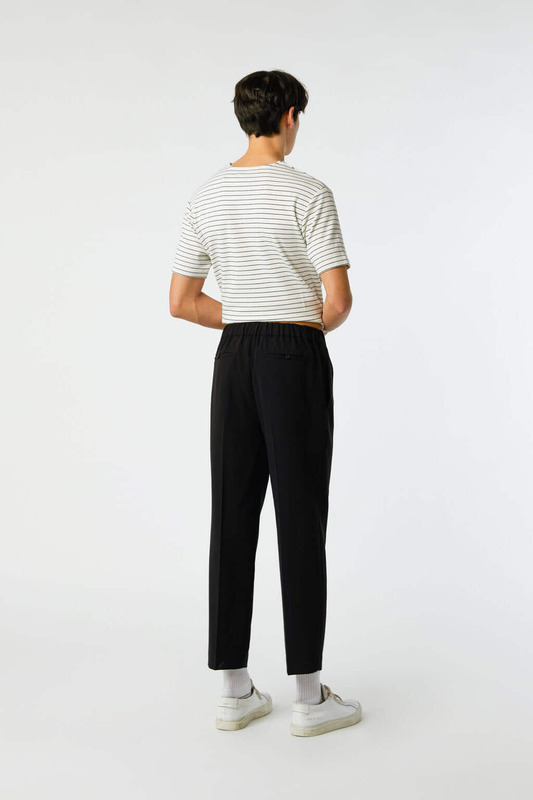 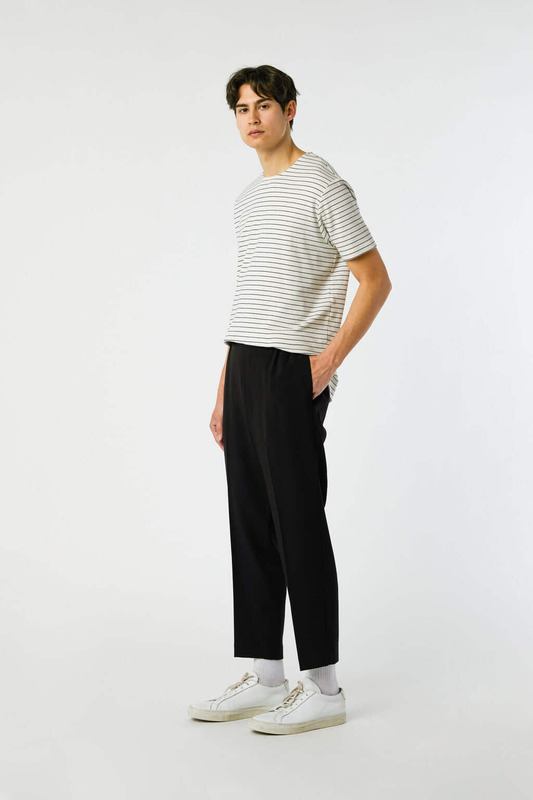 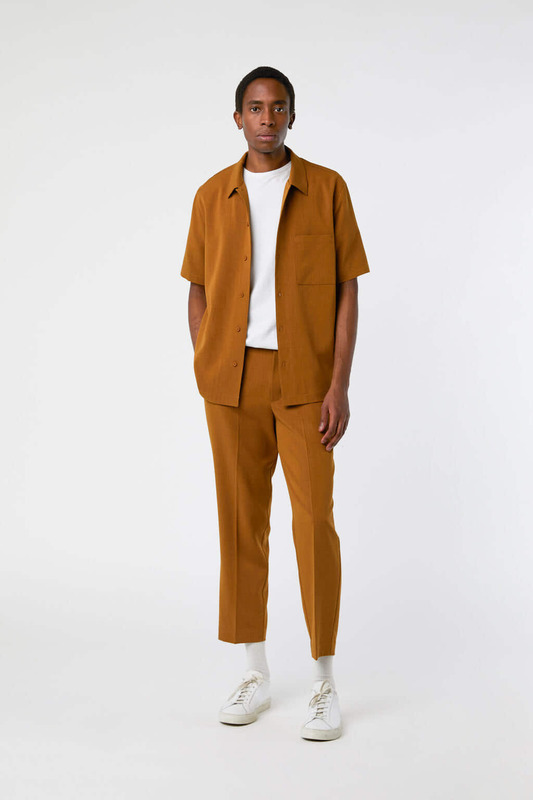 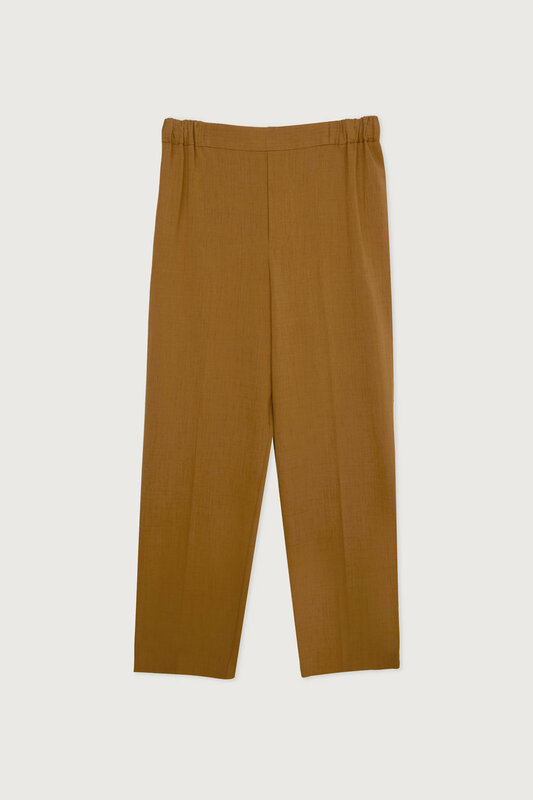 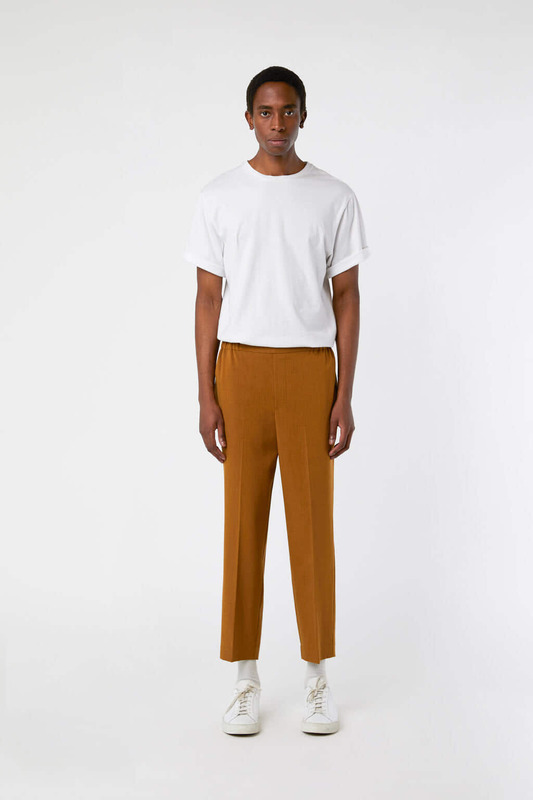 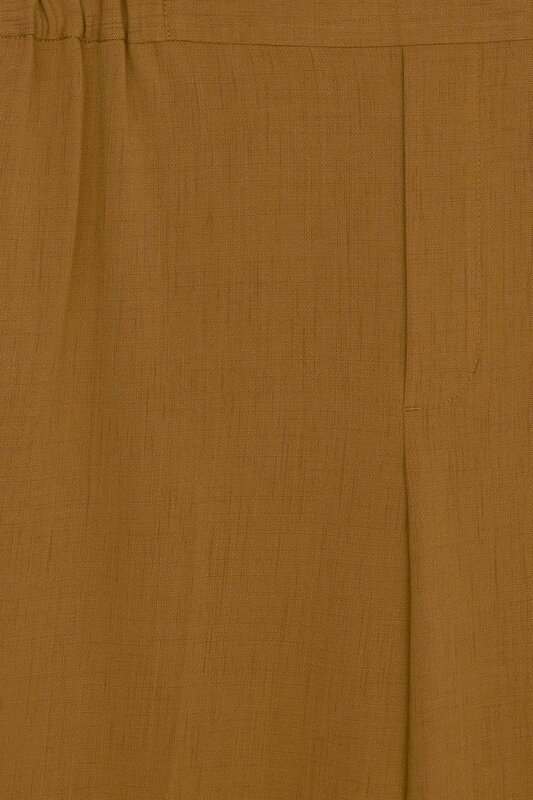 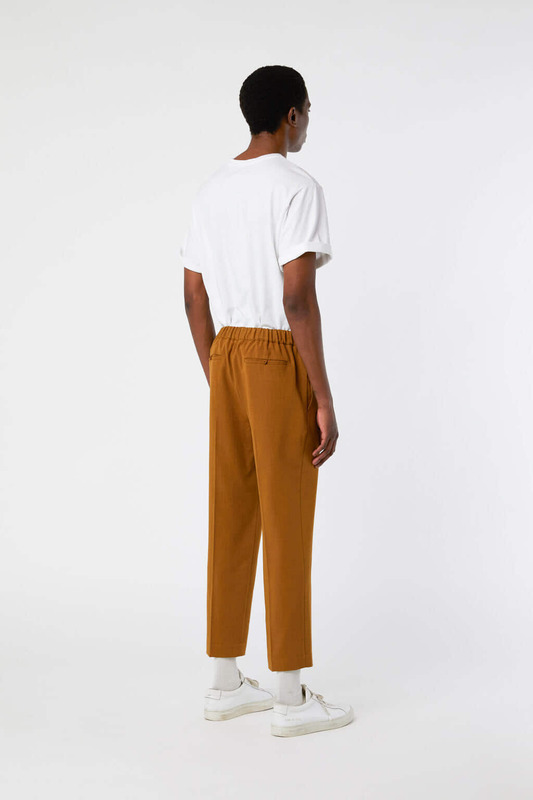 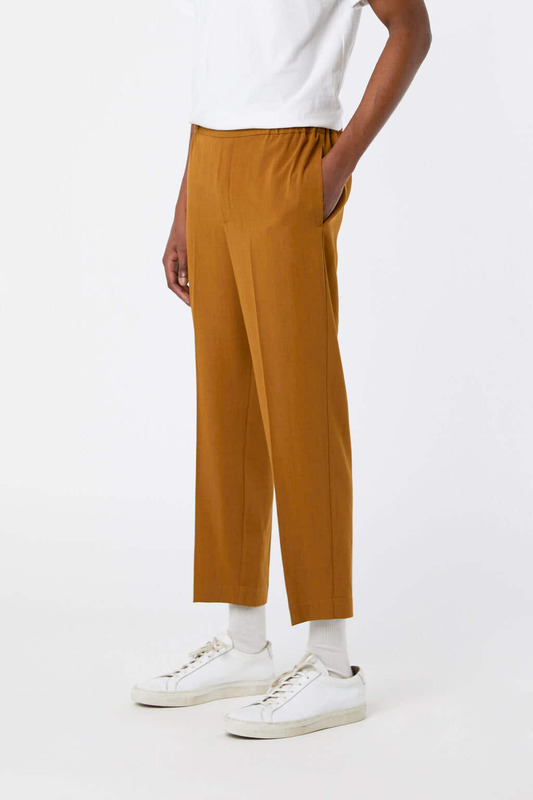 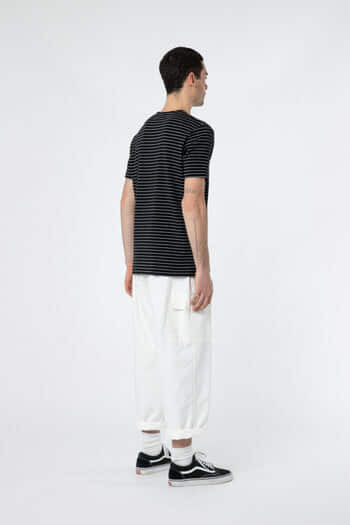 Cut from a lightweight rayon blend, these tailored trousers feature a slim fit and a straight-leg with a subtle crop. 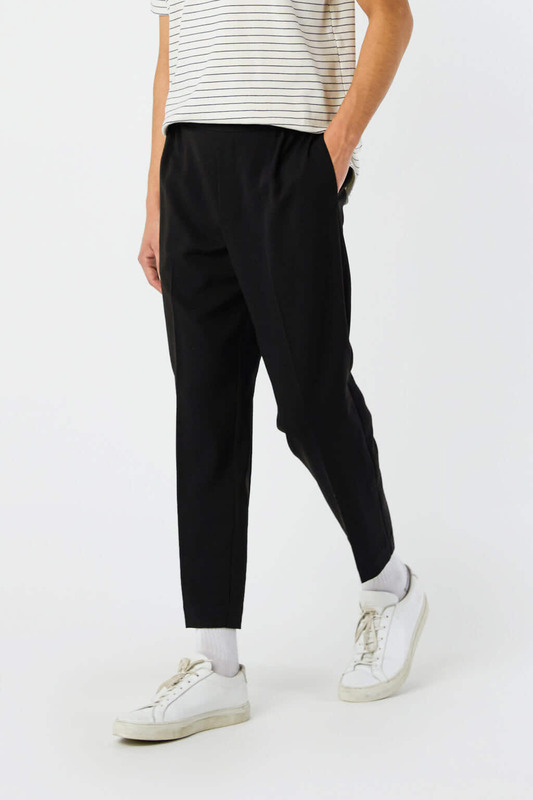 A comfortable pair made with pressed seams, an elasticated waist and side pockets for added function, wear yours for work to leisure. 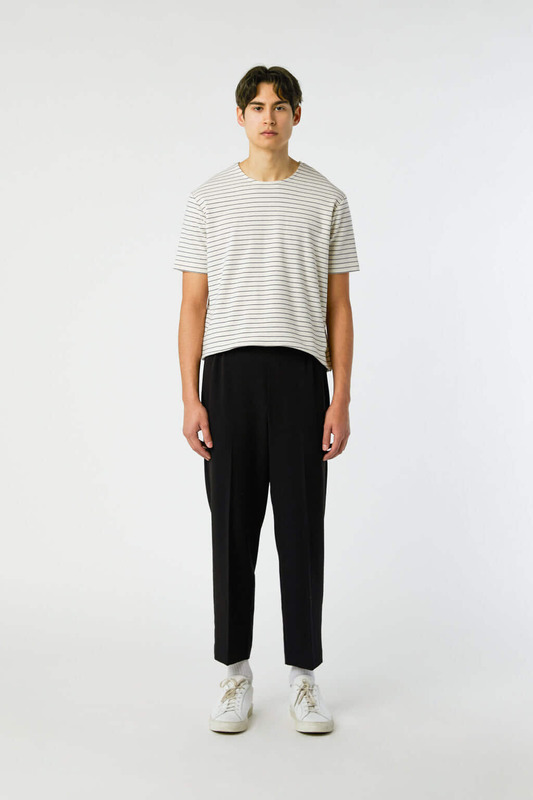 Wear it with shirts to basic crewneck tees. 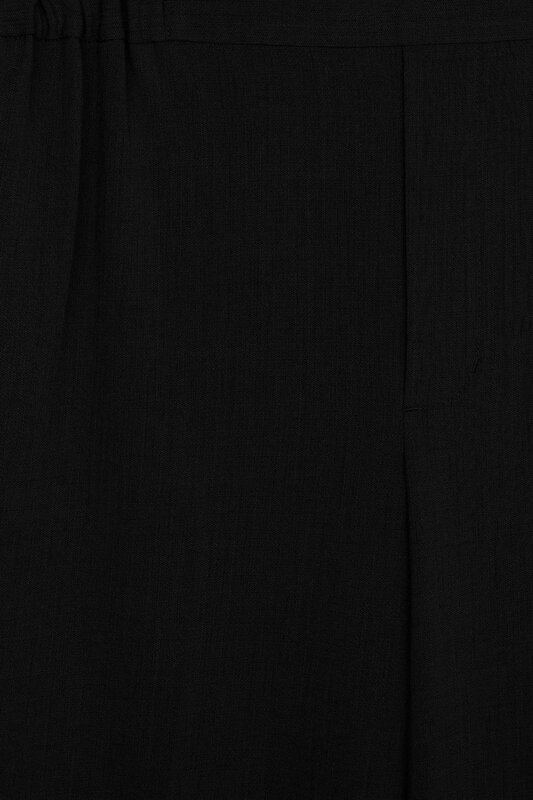 Measurements: 32.5" chest and 26.5" waist.